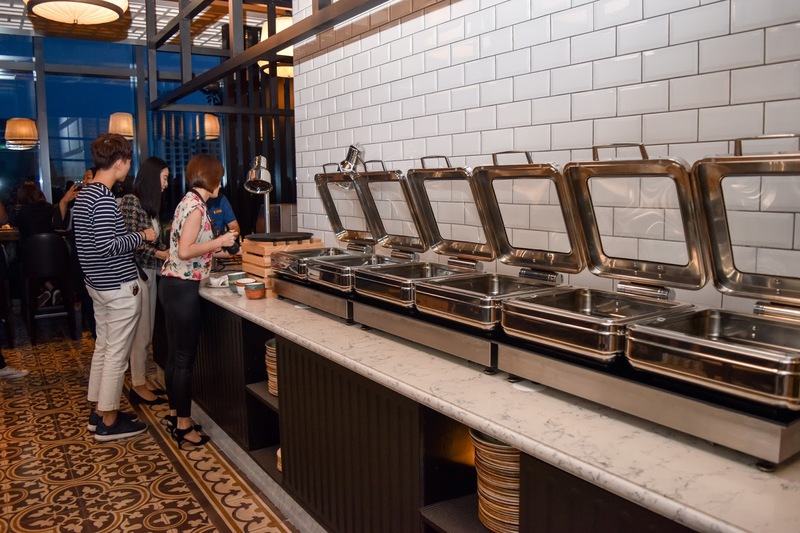 As we welcome the latest Park Hotel at Farrer Park to set foot in town, we also say hello to the new establishment that sits on the fifth floor of the hotel - Blue Jasmine. Blue Jasmine is a halal-thai restaurant that serves dishes inspired by authentic Thai flavours and Bangkok’s bustling street food culture. 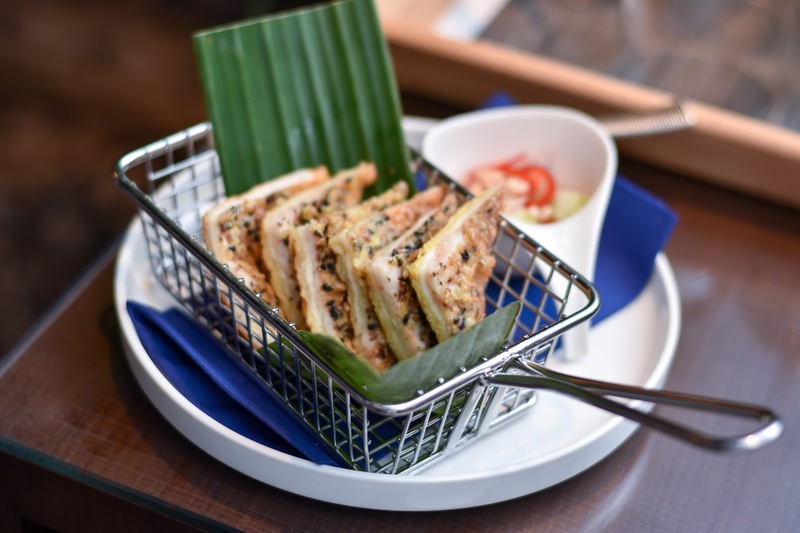 Here, you can find Thai dishes that range from classic favourites to dishes with a modern twist. The restaurant provides both indoor and an alfresco poolside dining. The interior space of the restaurant draws inspiration from Asia’s rich tapestry of cultures – with the centerpiece being a colourful digital print of Peranakan Kebaya embroidery, inspired by the Straits Chinese. During the Ramadan period, the restaurant will also be holding a dinner buffet which features some of these Thai dishes as well! I gotta admit that when it comes to Thai food in Singapore, there number of choices we have are aplenty. 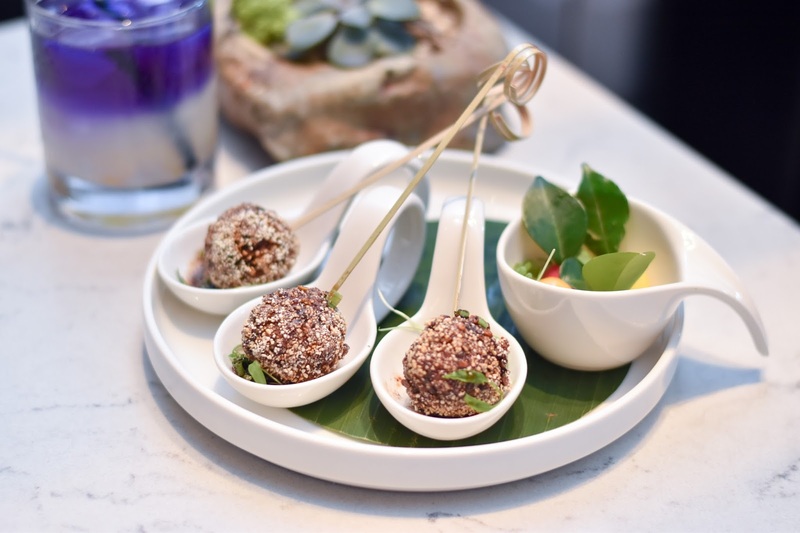 However, what makes the food at Blue Jasmine different lies in their modern spin on each dish which sets it apart from the ubiquitous Thai food out here. Here, all the herbs spices used for each dish are imported straight from Thailand! 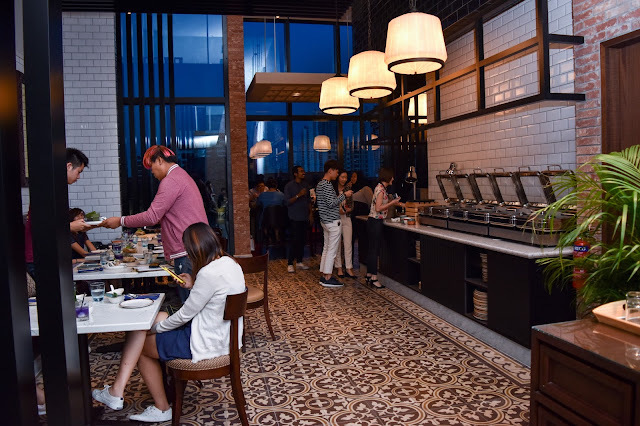 Also, since the dishes on the menu have a strong focus on communal dining, it's also the perfect for those who are interested in trying a plethora of dishes - you can just order a little of everything to share! Lukchup are fruit-shaped desserts that are commonly eaten by the royals in Thailand. 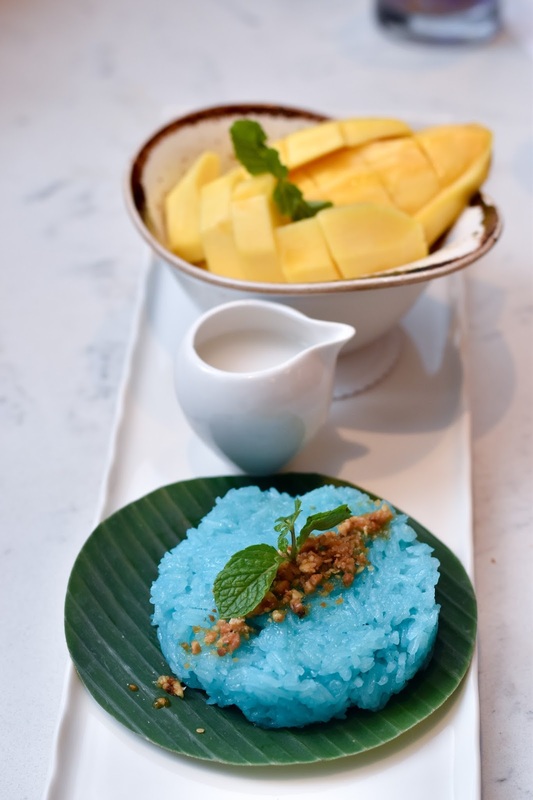 These desserts are made of mung beans, and you can also find them at street stalls in Thailand! On the other hand, the chicken balls are made of ground chicken with chili and mixed together with crisp ground rice into a morsel. It reminded me of the minced meat balls we eat here in Singapore - with an added crispiness! 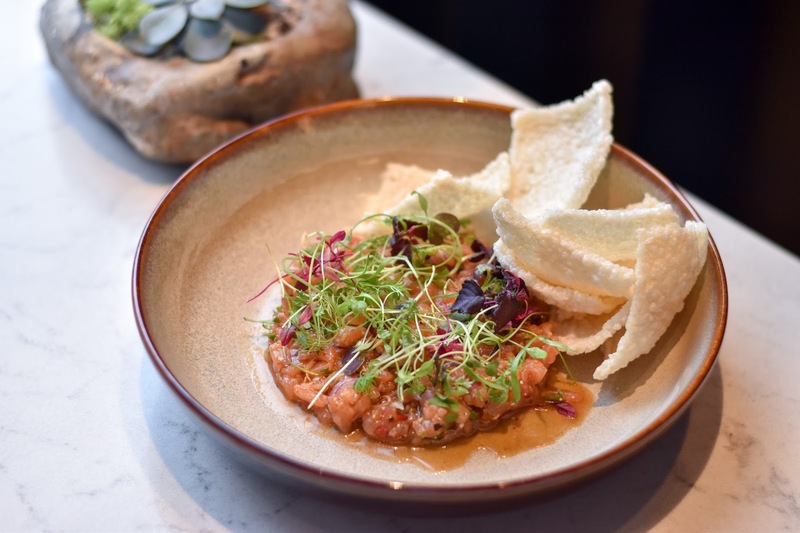 The dish is prepared with shrimp patty on toast, and the spicy cucumber relish on the side added a nice kick to the dish. I mean, what's Thai food without the heat, right? One of our favourite dishes of the night! 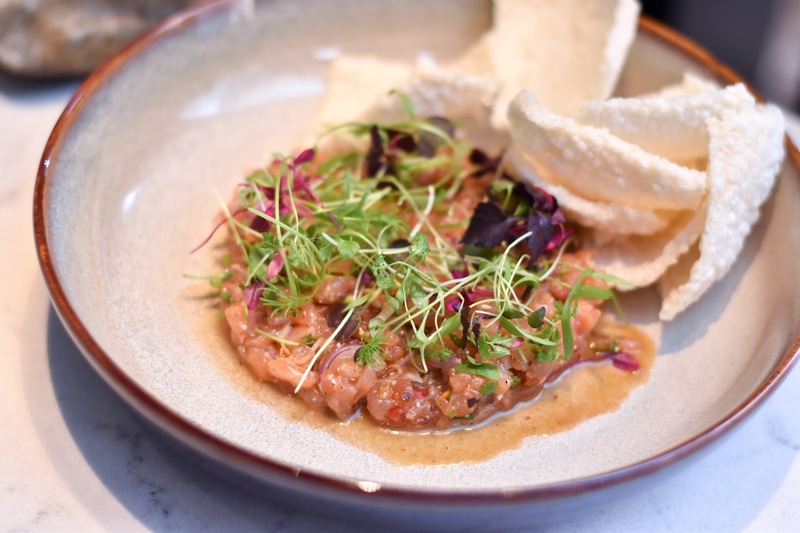 This dish is essentially Blue Jasmine's rendition of a Poke Bowl, filled with ingredients like tomato concise, red shallots, salmon sashimi, lemongrass, and doused in spicy tamarind dressing - which acts as a 'dip' for the spicy rice crackers served on the side. The Tom Yum soup that were served to us had a red base, though you can also opt fro the clear soup base from the menu. 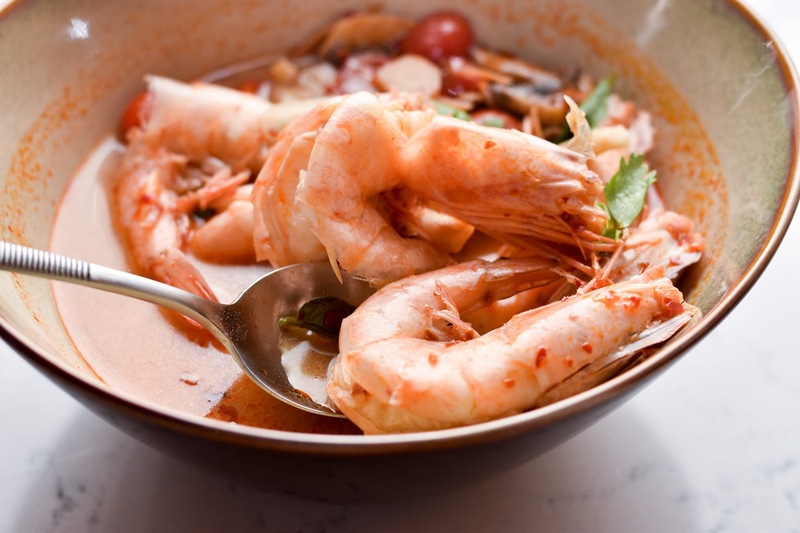 You also can also choose from 3 spicy factors - from mild, spicy to extra spicy for those who love a good kick from their Tom Yum Soup. 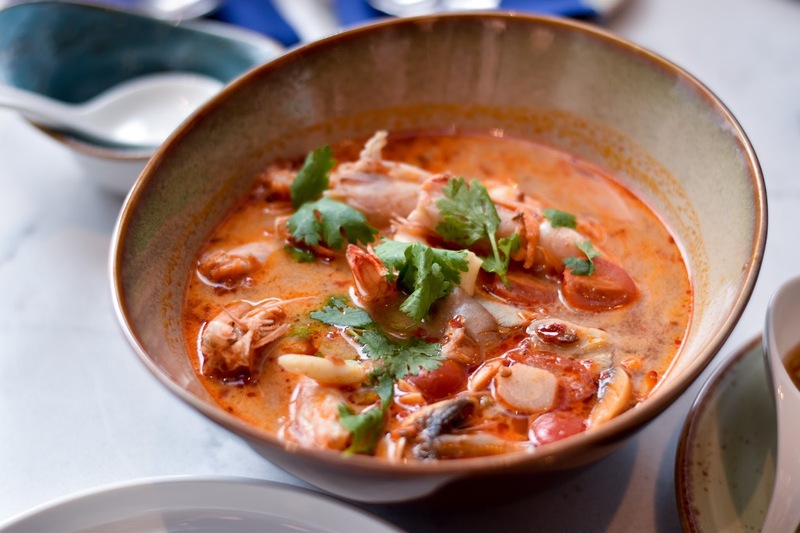 The soup was generously packed with a variety of seafood and the prawns were the winning factor of the dish. I guess what really caught out attention was the Blue Jasmine vermicelli served to us in the dish. 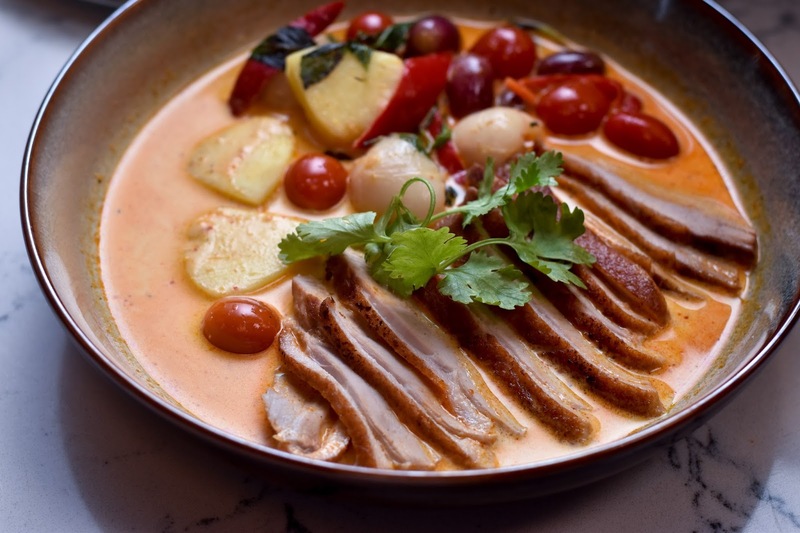 The yellow curry is prepared with curry paste and coconut milk with chunks of crabmeat. 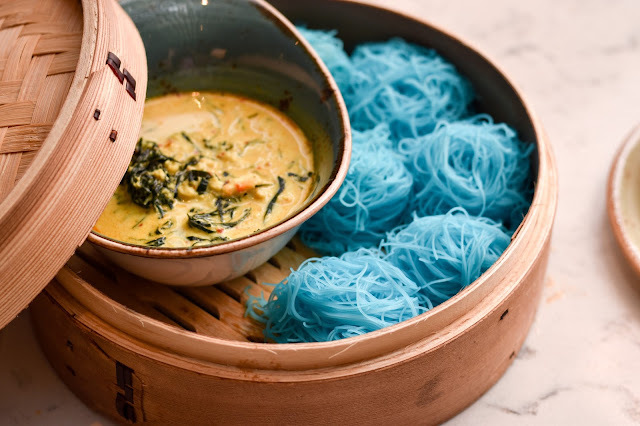 Even though the thought of having 'blue' vermicelli might be weird, I would highly recommend you to give this dish a try as the crabmeat yellow curry was the bomb diggity. Not your typical roast chicken all thanks to the medley of Thai spices used to elevate the roast chicken! 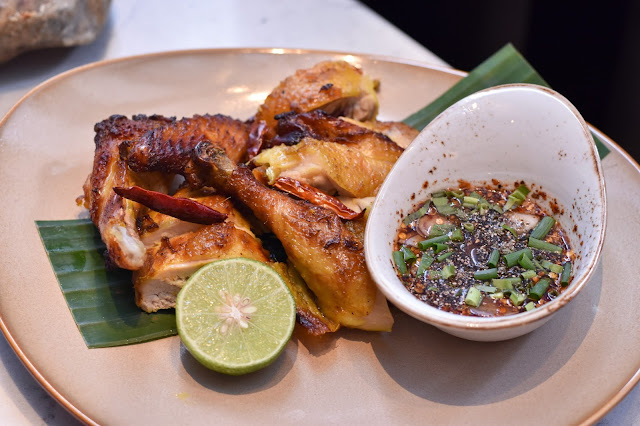 The fragrant marinate of the chicken was so good that we could even eat it on its own, but if you can't get enough of the heat, I would suggest you dip it into the accompanying chilli sauce. And, of course, how can we ever forget about Pad Thai when it comes to Thai food? 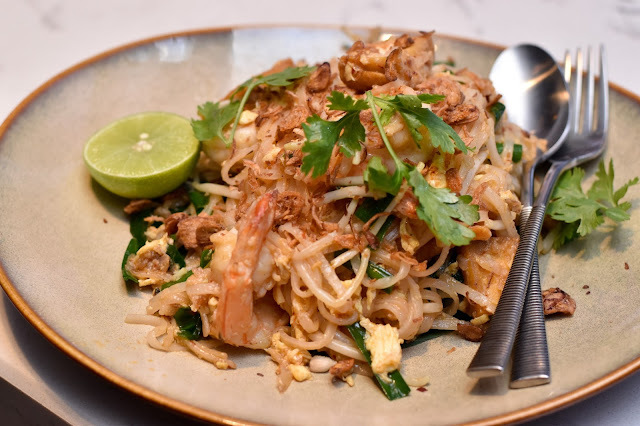 Unlike the Pad Thai served in other Thai restaurants, the one here wasn't too sweet which was perfect for my liking. 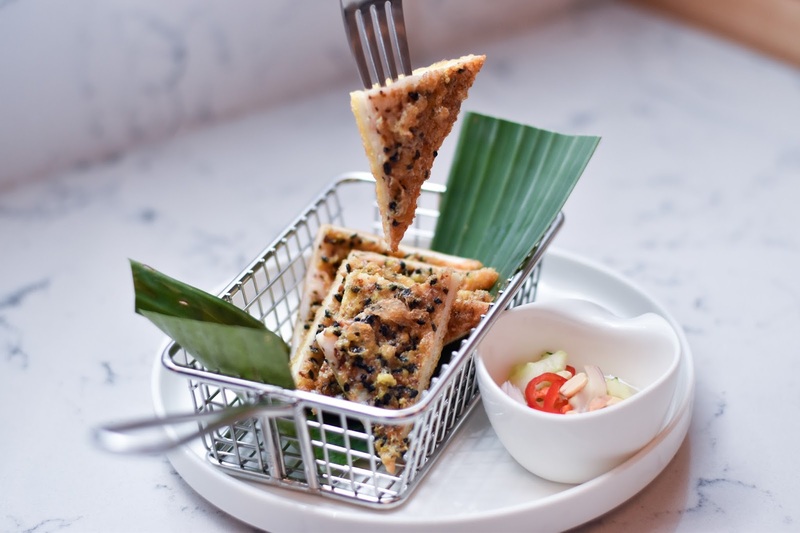 You can also find chai poh in this dish which added a nice crunch to every bite! 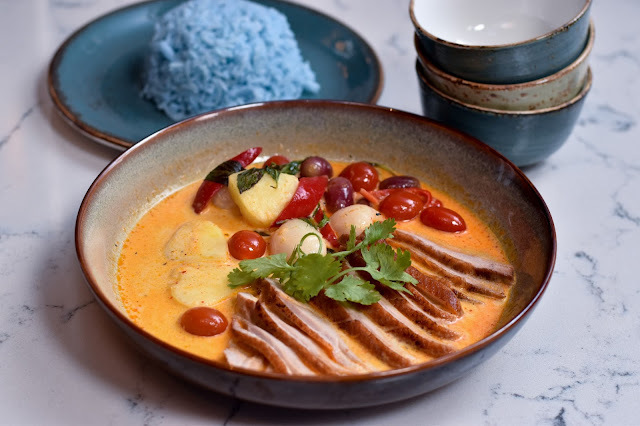 You guys, if you are thinking of ordering up the Duck Red Curry, please do yourselves a favour and also order up the Blue Jasmine rice because it'll be a waste to not douse the rice with the flavour-packed curry sauce. The duck meat, too, was extremely succulent and easy to bite into while the grapes and pineapple used in the dish provided a nice complement to the spicy notes of the curry. 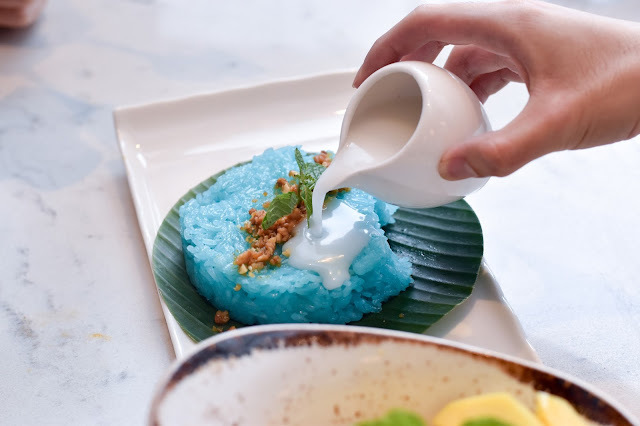 The sticky rice used here was also infused with Blue Jasmine flowers - the signature of the restaurant to infuse every dish with blue jasmine - if you haven't noticed by now. What makes this dessert so special would also be the sprinkle of caramelised peanut and coconut custard crunches on the mango sticky rice! Do also note that each main order will be accompanied with a choice of four types of rice – steamed, sticky, organic multi-grain and the restaurant’s signature Blue Jasmine Rice! If you are still looking for a place to visit with your parents this weekend, you know where to head to next! This was a media tasting with Blue Jasmine.